Promote This! is a Movable Type plugin that Byrne Reese created in 2006 or earlier. It was one of the first plugins to provide tags to support a wide range of social bookmarking and promotional services. Because Promote This! has been around for 7+ years, it’s present in a lot of older Movable Type 4 installations. After6 decided to update it because helped facilitate upgrades of customers’ older Movable Type-based sites, and made it easier for these customers to stop Movable Type 4. There are many alternatives to using Promote This! in new Movable Type projects. However, updating this plugin decreased the cost and increased the likelihood of completion of quite a few MT 4 to MT 5 upgrades. We were able to get a Twitter Summary Card accepted for OperationGadget.com, one of the oldest Movable Type-based sites maintained by After6 Services. What’s a Twitter Summary Card? That’s the part of an embedded tweet that shows the introduction to a web page or a blog post. Here is a screencast which demonstrates the key features of SuperAssets for Flickr. SuperAssets for Flickr allows you to easily select Flickr photos to include in entries and pages that you publish with Movable Type. SuperAssets for Flickr automatically stores links to the Flickr photos you select so that they are available in the Movable Type Asset Manager and accessible by standard Movable Type Asset Manager tags. For more information about the SuperAssets series of plugins, visit the Plugins section of After6Services.com. Maybe you do a lot of Movable Type 3 and 4 migrations to Movable Type 5.2, like I do? If so, you need the UnrecognizedTags plugin. UnrecognizedTags identifies all Movable Type Markup Language tags that Movable Type currently doesn’t recognize. With it, you can identify unrecognized tags throughout an entire Movable Type instance. In other words, it will identify unrecognized tags in all websites and blogs published by Movable Type, and also any unrecognized tags found in Global Templates. So, if you need to know where all occurences are of tags produced that plugin you are removing because it’s not MT 5-compatible, UnrecognizedTags is for you. Includes a lot more documentation in the README file. Adds a lot of supplemental information in config.yaml that flows through to the Movable Type Plugin page at the System Overview level pointing to things like, Six Apart’s home page, and the documentation on Github. We’re still testing on different versions of MT, and if there are any fixes that need to go in, we’ll publish them as soon as possible. If you have any comments or questions, feel free to leave them here or send us an email at support [at] after6services.com. solves an entry duplication issue in Movable Type 5.
eliminates a dependency on the Perl module called Switch. I’d like to thank Shmuel Fomberg for his patches that solved these important reported issues. I maintain the Reblog plugin on behalf of the Movable Type Community. For more information, visit the Reblog repository at https://github.com/movabletype/mt-plugin-reblog. Welcome to the new After6 Services website! This site was built with our Wrightstown Theme for Movable Type 5, a product that has been under development for more than six months. Kathleen Aiello did virtually all of the theme implementation work, to make the core content of the site fit the design. Jeremy King is the man behind the Wrightstown Theme design. Arseni Mouchinski lead the development of our SuperAssets plugins. Dave Aiello did the deployment to production. We now have a state-of-the-art platform on which to communicate news and information, so you can expect to see a lot more content on our website soon. After6 Services celebrated its second anniversary on January 11. Happy birthday to us. If you have dealt with After6 Services before, you may have noticed that we switched Help Desk services. On December 6, 2012, we made the switch to Desk.com, which is a service provided by Salesforce.com. 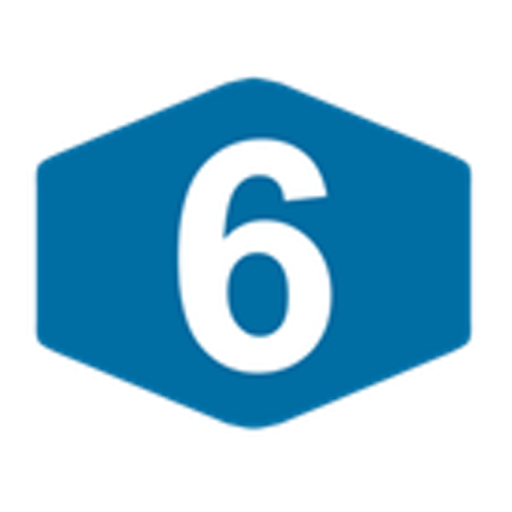 Salesforce.com is the provider of our Customer Relationship Management system, so we hope to see the benefits of a lot deeper integration between our help desk and After6’s sales and marketing.